Many Planned Parenthood clinics in the United States are picketed daily by people who try to shame women against coming to the facilities. Recently, Planned Parenthood teamed up with three artists to turn the difficulties of accessing reproductive care into Across the Line VR, an eye-opening virtual reality experience. Across the Line VR starts out in a consultation room at Planned Parenthood, where a patient meets her doctor. The patient is uneasy and very tense. When asked why, she tells the doctor how shaken she is by the people protesting outside the clinic. The experience then moves to the prologue. 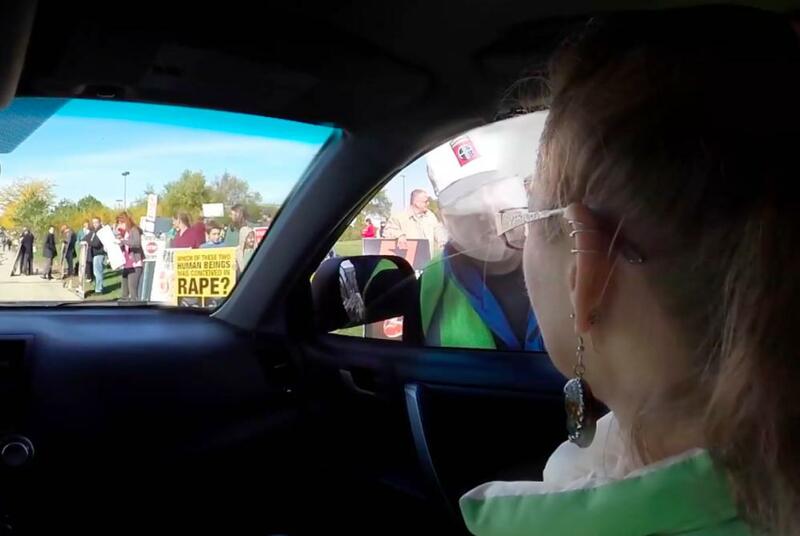 Viewers are sitting in a car with the patient being driven by a friend into a Planned Parenthood location. Along the way, the patient asks a protester for directions. Instead of help, the man attempts to talk her out of the visit and to instead visit a different address. The experience then fades out into an animated 3D space. For the next few minutes, the viewer becomes the patient. Using recordings from actual anti-abortion protesters across the United States, the team behind the experience animated what it’s like to walk into a Planned Parenthood clinic. Aside from the usual religious taunting, the patient is called a “wh*re” among other expletives. Overall, it’s a very claustrophobic and threatening experience. Planned Parenthood collaborated with artists Nonny de la Pena (dubbed the “Godmother of Virtual Reality”), Brad Lichtenstein (Director of “As Goes Janesville”) and Jeff Fitzsimmons (co-founder of Custom Reality Services) on the project. In a 12-year-old study, it was observed that VR had a stronger emotional effect on its viewers and users than other forms of content. Through this format, the campaign can achieve what it wants: to let people realize the terror women are made to feel when walking into the clinics. They want people to understand how protestors harass and affect the wellbeing of women making decisions about their own bodies. The experience can be viewed using Google Cardboard or a similar VR headset. It lasts over seven minutes and can be viewed on smartphones using the native YouTube app. There are also compatible versions for Samsung VR and the Oculus Rift.